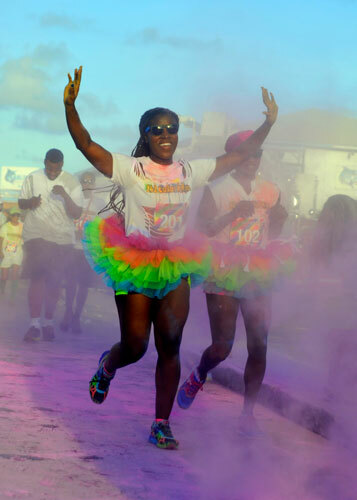 The 242 Colour Run in Nassau took place on a beautiful Bahamian Sunday morning. 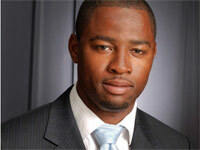 The second instance of the event saw 449 people registered, up from last year’s attendance of 330. 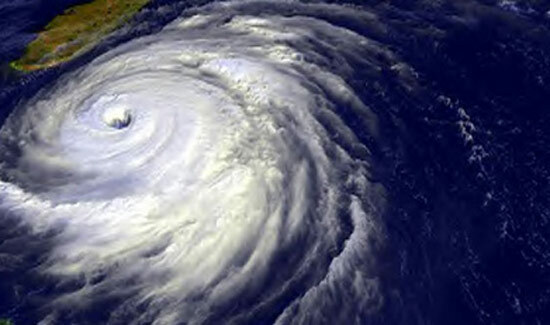 The revised course left Eastern Parade and headed East, rounding Montagu foreshore and heading back to finish at Green Parrot Nassau, a total distance of 5km. The course also had a 6.1km Challenge option, where runners and walkers could head over the bridge and back before completing the race. 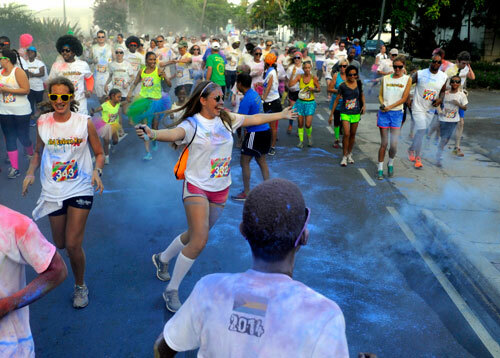 The 242 Colour Run is different from the average walk or run, as teams and individuals are encouraged to get as funky and colourful as they possibly can. Individuals and teams consisting of friends, families, coworkers, athletic groups, and specialty groups dressed in funky clothing, tutus, wigs, and even a batman costume. Participants were able to register online and at The Sports Center, and pick up their bags at The Sports Center on the Friday and Saturday before the race. Each bag contained a 242 Colour Run shirt, race bib, bumper sticker, sunglasses, 242 and Rotary tattoos, and samples such as Go-Ahead biscuits and Pinalen multicleaners. Each person also got a small bag of colour, which was used primarily for one of the morning’s highlights, the colour toss. As the racers gathered before the start and the last minute participants checked-in, music and entertainment was provided by DJ Puppy of Pupstar Entertainment and Nathan Stone; both of which are president of the Rotary and Rotaract Club of East Nassau, respectively. 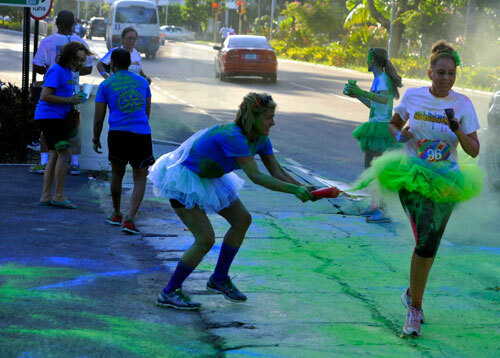 The fun started off in the morning with a Colour-Toss on Eastern Parade. The individual bags of colour were tossed into the air by the pumped up crowd, causing a giant multi-colour cloud over the field. The Royal Bahamas Police Force then closed the road for a few minutes while the close to 500 participants started the race. The race course was very unique in that there were six “colour stations” along the route. 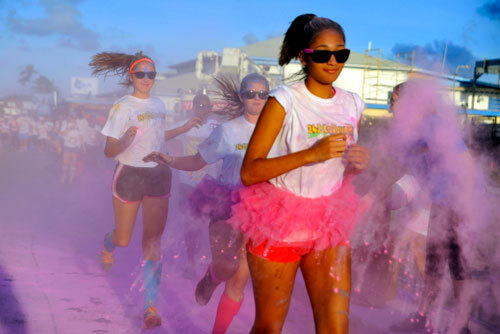 At each station, a host of volunteers from the Rotary and Rotaract Clubs of East Nassau doused the participants in a different colour – Bahama Blue, Sunshine Yellow, Flamingo Pink, Seagrass Green, Seagrape Purple and a new colour, Lighthouse Red. Water stations along the course kept the runners hydrated, thanks to the FYP fire truck and Aquapure water. 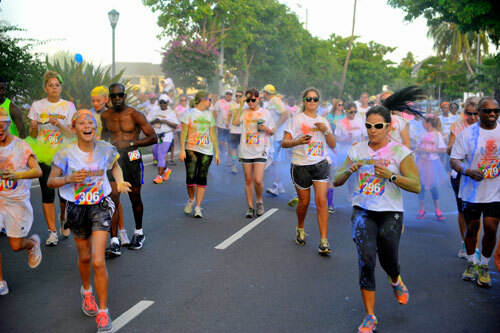 While participants began to finish, the crowd began to grow at Green Parrot Nassau, the official finish of the race. As they finished they were greeted with cold water provided by Aquapure and ice-cold Sands Beer for the adults. Vita-Coco all natural coconut water and H2Aloe, a fruit fusion drink, were also handed out to finishers. The music and feel-good atmosphere continued through random bursts of colour and competitors cheered on their friends and families finishing the race. No matter if people walked, ran, or a combination of the two, everyone was congratulated for finishing the colourful course. There were no winners of the race, as the event was not timed nor competitive – however there were some noticeably fast runners on the course. The fun didn’t end after the race was over. The restaurant and bar at Green Parrot then opened for breakfast for the lively crowd, overlooking the scenic Nassau Harbour. As the course was being cleaned up by volunteers and Bahamas Waste, friends gathered inside the Pick A Prop & Pose photobooth to preserve their colourful memories and PappaSurf introduced people to paddleboarding. 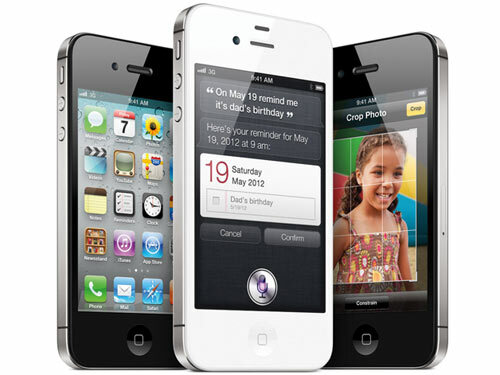 The event was not timed nor places awarded, so prizes were given out to those registered and still present at the event. 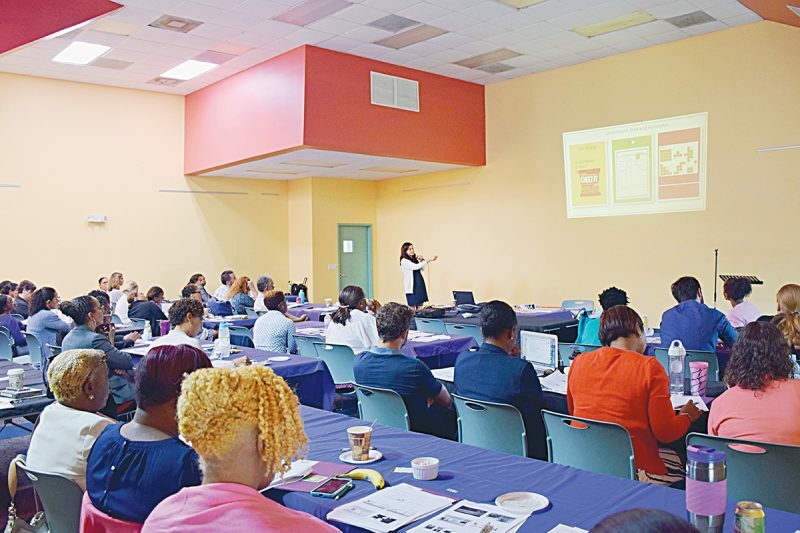 Prizes included gift certificates to Pirates of Nassau, Lightbourne Marine, Electronic Solutions, Tru Bahamian Food Tours, Windemere, Lucianos, and Bahama Art & Handicraft. John Bull provided a Fossil watch, the BNT provided a Conchservation goodie bag, and Dolphin Encounters and Blue Lagoon both donated passes for two. The beneficiaries of the event, the Rotary and Rotaract Clubs of East Nassau, provided a great atmosphere and the majority of the volunteers for the event. They threw colour, gave out water, cleaned up, and most importantly cheered on the participants. 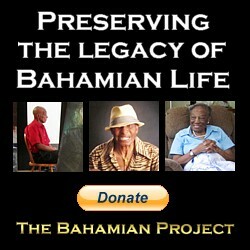 The race would not have been a success without their direct involvement. The charitable organizations will both receive almost double what they received the year before, and as the race grows so too will the fund-raising for their many community programmes. The race organizers, PROMPT (Paradise Race Organization Management Promotion & Timing), would like to thank the Rotary and Rotaract Clubs, the race host Green Parrot, all of the volunteers, sponsors and spectators, the RBPF, the Ministry of Works, and most importantly the amazing and fun participants. 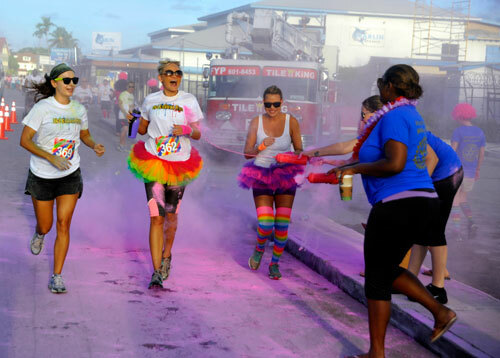 The next 242 Colour Run takes place in Freeport on November 2nd followed by Abaco on December 27th. 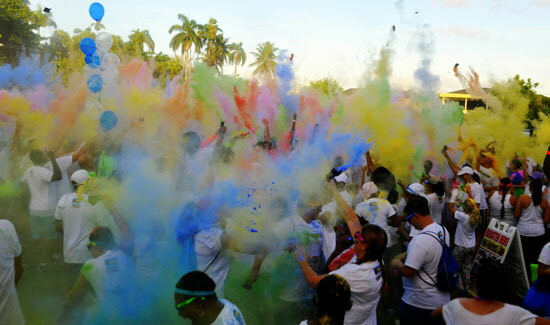 More details of future events will be released via the website www.run242.com and the 242 Colour Run Facebook page. 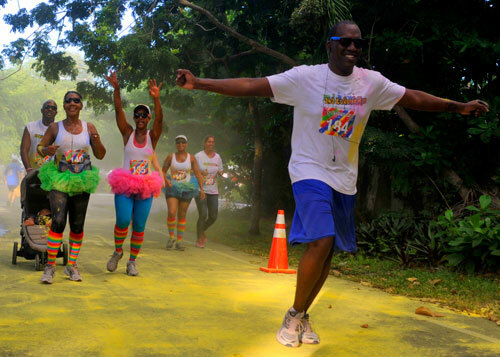 Captions: Assorted pictures from the 242 Colour Run that took place in Nassau on September 28th. All photographs by Ash Henderson.